A unified sense of direction is found on Yumi Zouma’s temperate pop songs. The New Zealand four-piece credit the peacefulness of their hometown as an adequate mood to create, a place of refuge where they can give themselves some breathing space to move forward. Which explains why their second full-length effort, Willowbank, sounds like a continuation of last year’s Yoncalla, yet forged with a stronger bond, offering an impartial view of pop history while taking some stealthy risks. There’s an airy lightness to Willowbank that undermines Yumi Zouma’s songwriting decisions as if they’re not aiming to make a bold artistic statement. But instead, they do so by sharpening their focus: the pulsating chamber disco of Us, Together leans on a musical template they tackle with ease, while the melancholy bounce of December has that pre-chillwave charm of Canadian indie-pop in the late aughts. But outside of those realms, most of Willowbank retains the sheeny soft-pop they’re known for while further emphasizing their thrill for haphazard romance. Persephone is the best example of this, a posh dance number with a slick R&B refrain that retains their exultant synth flourishes. Through all this, lead singer Christie Simpson serves as the mediator that balances Willowbank’s mellow shifts in mood. She pines with doomed eyes in the acoustic reverie of Gabriel, while in In Blue, she adds a flirty touch to the song’s sultry playfulness, showcasing a malleable voice that is capable of much emotional range. 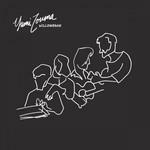 Yumi Zouma do stumble into a few missteps along the way, though, especially when they take on the objective of diversifying the album’s tonal palette. They could’ve done without the soulful strut of Ostra, a schmaltzy take on eighties pop pastiche that is better left in the past, while the minimal half-step of Half-Hour doesn’t have that jittery hook that could enliven its sparse arrangement. Yumi Zouma are still in a league of their own on Willowbank, given how there’s no other artist right now who's as good in merging simple dance floor pleasures with a dreamlike undercurrent. They can certainly benefit from that, though at times it’s as if the band is still trying to figure out the right temperament to base off of for the extent of a full-length album. The result is an uneven pairing of drive and control, and the latter tends to push them towards worn-out novelty with greater force. It doesn’t take anything away from the immediate pleasures found in Willowbank, even if they haven’t quilt built a memorable set of songs that will outlast the occasional evening drive.